Infographic: What are the best paint colours for selling your house? Giving your home a fresh lick of paint is one of the most effective ways to update and “renovate” your home before putting it on the market. 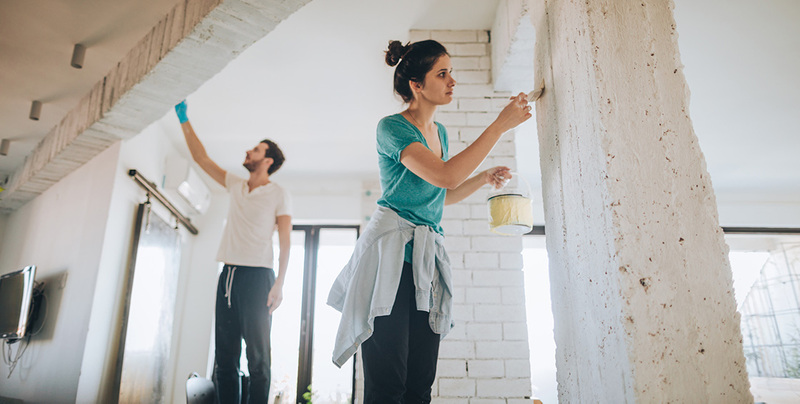 With just a small investment in painting materials, you can help sell your house faster and at higher values. But what are the best paint colours to sell a house? Take a look at our handy infographic on house colours that sell. Generally speaking, when you’re preparing your house for sale you want to choose paint colours that are neutral, light, and inviting. Avoiding niche or taste-specific colours helps appeal to the majority of buyers. Lighter shades of grey, greige, and blue work well with many colour palettes, so they’re a safe choice for most homes. White also works well in some circumstances – avoid the sterility of true white or tacky yellow-based off-white, instead opting for a cool off-white such as alabaster. Unless you own a home that’s in a particular classic style (like a Victorian-style home), it’s usually best to avoid dark colours – especially indoors where they tend to make spaces look smaller and closed-in. Don’t forget that the colour on the swatch isn’t always true to life – so make sure to do a patch test before committing to a full paint job. The last thing you want is for that muted dove shade to end up looking like gunmetal grey! Getting ready to sell property? Get a free Upside property report in seconds.